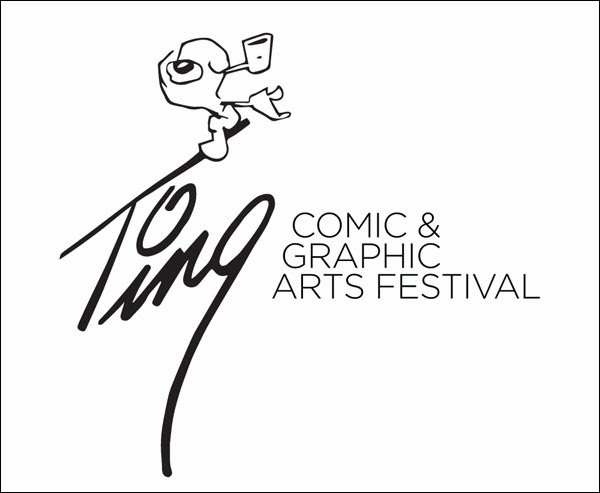 After many months of preparation and planning, I'm happy to announce that the "Ting - Comic & Graphic Arts Festival" will be taking place in London, Ontario at The ARTS Project from April 22 - May 3, 2014. The London Free Press has a great article about it here. Named after famed London Free Press editorial cartoonist Merle (Ting) Tingley, Ting is a 2-week festival showcasing comic and graphic artists from London and the greater Southwestern Ontario area, past, present and future. Centering around a gallery show at The Arts Project, the festival will also feature workshops, panel discussions, a pop-up shop and more. The dual purpose of the festival is to provide a forum for artists to present their work to the public not normally accessible through normal commercial channels and to raise awareness of The Arts Project, a non-profit arts incubator based in London, Ontario. There will also be a spotlight on Koyama Press, a Canadian press who has published works by 3 of the participating artists (Aaron Costain, Jesse Jacobs and Mark Laliberte). Merle Tingley (Ting) was the editorial cartoonist for the London Free Press for almost forty years (1948-1986). He won national and international awards for his art, and is regarded as the dean of Canadian newspaper cartoonists. Ting's attention to detail and craftsmanship characterize his work. Over the years, his whimsical, down-to-earth humour attracted a loyal following among thousands of readers, not only in the Free Press but across Canada in more than 60 weeklies and dailies, which carried his syndicated material. 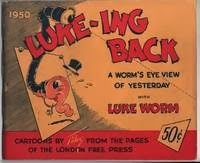 His famous cartoon mascot, Luke Worm, is immediately recognizable. The "Merle Tingley Cartoon Collection" at Western University includes more than 5,000 drawings, travel assignment articles, awards, photographs and correspondence. Not only do the drawings have substantial intrinsic value as original art, but they also form a rich primary source of social comment and criticism on a local, provincial, national and international level. We are London’s arts incubator, sparking creativity, while supporting emerging and developing visual and performance artists. The ARTS Project (TAP) exists to provide a public gallery and black box theatre option for emerging and developing artists. Incorporated as a not-for-profit in 1999, TAP exists to support and encourage this group of innovators and up-and-comers, providing opportunities where they can affordably work, share information, learn new skills, exhibit and perform their art, getting feedback while educating and enriching our community. Our heritage building built in 1870 was originally a hotel and has been renovated to include 11 artists’ studios, two galleries and a 100-seat black box theatre as well as offering programming in both visual arts and theatre. There is currently (April 2014) a small exhibit of Ting's work, with original art, at the London Room in the Central Library. 3rd floor at the head of the escalator. Thanks Mike. I just found out about this display at the library. I plan to check it out!